The human brain is the most complex phenomena in the known universe and considered the most powerful tool mankind can possibly possess. If trained properly to its full potential, human brain can perform a myriad of tasks. The following 10 timeless books can assist you achieve peak performance in the rapidly changing global environment. 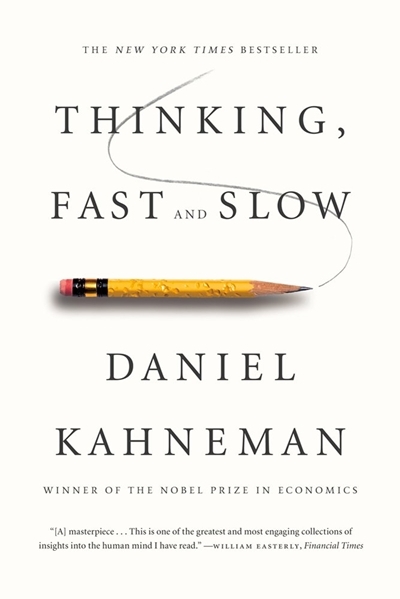 Best-selling book ‘Thinking, Fast and Slow‘ by the Nobel Memorial Prize winner in Economics, Daniel Kahneman covers decades of his consistent and rigorous research of three different periods of his career – his early days working on cognitive biases, his work on prospect theory, and his later work on what brings happiness. The book’s central idea is a dichotomy between two primarily different modes of thought which is called “System 1” and “System 2”. “System 1” is instinctive, automatic, impressionistic and emotional. It can’t be controlled or switched off; “System 2” is slothful, deliberative, effortful and more logical. When things get troublesome, system 2 is what helps by taking control. Generally, System 1 uses metaphor to create a swift and dirty draft of reality, which System 2 draws on to arrive at unequivocal beliefs and rational choices. The book reveals the astonishing capabilities of fast thinking, and the pervasive influence of instinctive impressions on our thoughts and actions. The impact of loss aversion, tendency to overestimate benefits and underestimate costs that initiates to take on risky projects, and the difficulties of anticipating what will bring happiness, the reflective effect of cognitive biases on everything ranging from playing the stock market to planning the next vacation – all these things we can predict by actually understanding system 1 and system 2 and how they work together to shape out our judgement. Human consciousness has been instrumental to Human’s greatest evolutionary achievements; this is an amazing tool to reflect, contemplate and choose. 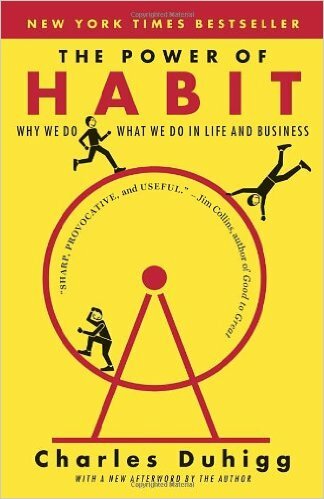 Author Charles Duhigg demonstrates how habits form and how they can be changed. Choices we make everyday becomes habits that impact our productivity, financial security, and happiness. Once we can identify our habits, we have the power to change or replace them with something good. A very good example has been included in the book: 34 year old Lisa Allen was $10,000 in debt, obese, depressed and jobless. After for years she made herself healthy by shredding 60 pounds, had bought a home and was debt free. But was that possible? It by saying NO to her bad habit ‘smoking’. She replaced smoking with jogging, that actually changed different areas of her life: how she ate, worked, slept, saved money, and planned for the future. Chapter 9: The Neurology of Free Will: Are We Responsible for Our Habits? Malcolm Gladwell is widely known as the intellectual opportunist who has the wonderful ability for presenting the complex things into simplest possible way with common-sense justifications for many of the apparent mysteries, coincidences and problems of the everyday. 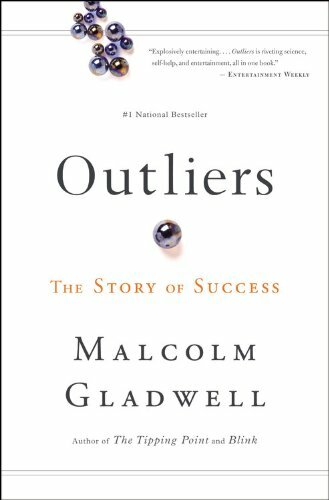 Malcolm Gladwell ‘Outliers’ is one of them, it’s an intellectual journey through the world of the greatest and brightest, the most popular and the most successful. We always consider the successful people but never their culture, family, social background, upbringings, which play the most crucial role behind their accomplishment. It answers what it takes to be a great soccer player, why Asians are better at math, and what made the Beatles the greatest rock band. 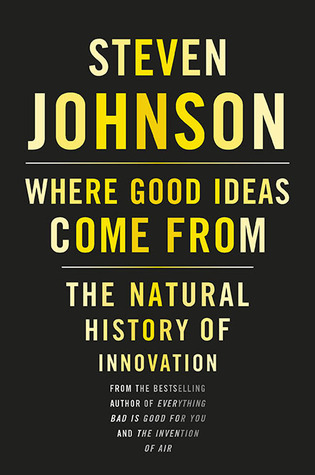 Johnson’s book, Where Good Ideas Come From: The Natural History of Innovation, explores why some environments throttle new ideas while others breed and nurture them effortlessly. The greatest minds like Charles Darwin, Benjamin Franklin, and companies like Google, Facebook in human history seem to be spring of good ideas and amaze us with their innovation. Author Steven Johnson, explores more than two hundred ideas and identifies seven common patterns of idea formation: The Adjacent Possible, Liquid Networks, The Slow Hunch, Serendipity, Error, Exaptation, and Platforms. Then he classifies them into four different kinds of environments to inspect their emerging patterns, and he comes to conclusion that open-source or academic environments are the best for innovation. Johnson compares this environment to a coral reef. Johnson’s another significant book Emergence: The Connected Lives of Ants, Brains, Cities and Software, where he explores ’emergence theory,’ of how Google, Facebook, or Wikipedia accomplished in a short time what it’s taken other enterprises decades to achieve in scope and scale. 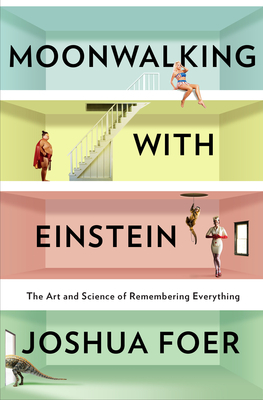 The nonfiction book Moonwalking with Einstein: The Art and Science of Remembering Everything is written by Joshua Foer and published in 2011. The book debuted at no. 3 on the New York Times bestseller list for 8 weeks. Foer calls his book as ‘participatory journalism in the world of competitive memorization’ that explores the capacity of the human mind. While investigating about the people with enhanced memory, he ended up participating in the 2005 U.S. Memory Championship. He shoes the scientific basis of memory creation and historical approaches towards memory. “The brain is like a muscle and memory training is a form of mental workout. Over time, like any form of exercise, it’ll make the brain fitter, quicker, and more nimble… But while there is much solid science to back up the dementia-defying effects of an active brain, [the] most hyperbolic claims about the collateral effects of ‘brain exercise’ should inspire a measured dose (at least) of skepticism. Nevertheless, it was hard to argue with the results. I just watched a forty-seven-year-old competitor recite, in order, a list of 100 hundred random words he’d learned a few minutes earlier.” Foer writes. 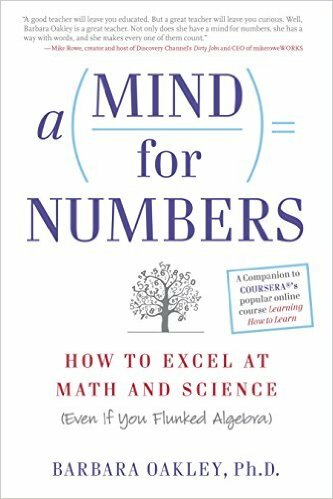 If you are a student or a math and science enthusiast struggling to get hold on the subject, A Mind for Numbers can help you with the tools to get a better understanding of these much intimidating but inevitable fields. Barbara Oakley who is an Engineering professor, struggled with math and science. After graduation, when she enlisted her name in the Army she found that her lack of mathematical and technical knowledge extremely limited career option. She went back to school with a determination to train her own brain to master over the subjects she had escaped throughout her life. 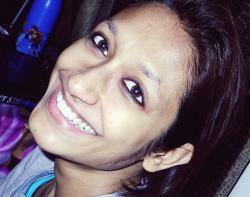 In A Mind for Numbers she reveals the secrets of learning math and science. When most people think that there’s only one way to solve a problem, she shows there are often a number of different solutions for which one requires the creativity to see them. A Mind for Numbers shows studying a problem consistently until it is solved is not the correct or effective way to learn math rather one needs to get away from the problem, relax the mind and active the creative part of the brain to take over a problem. The book assures we all have what it takes to excel in math, and learning math is not as painful as people think. Michio Kaku, who is widely known for handling the most fascinating and complex object in the known universe: the human brain, gives us an authoritative look at the amazing research on the latest progress in physics and neuroscience in top laboratories all over the world. This book is an incredible, mind-boggling exploration of the frontiers of neuroscience. 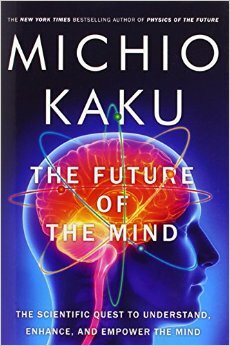 Dr. Kaku shows what the future might hold by giving us the very significant information of how the brain functions and how technologies can affect our daily lives and how adopting a new way of thinking about ‘consciousness’ can provide deeper insight into mental illness, artificial intelligence and alien consciousness. It is possible some day that we can improve our cognition through ‘smart pill’ and be able to upload our brain to a computer, and send thoughts, consciousness and emotions across the universe on a ‘brain-net’ and manage computers and robots with our mind, push the limits of immortality. 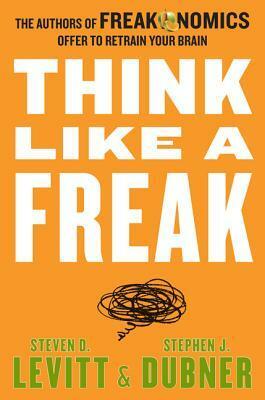 The book Think Like a Freak is an inspiring collection of some unusual stories from the authors Steven D. Levitt and Stephen J. Dubner (authors of the bestselling Freakonomics and SuperFreakonomics) primarily aimed at looking at the problems with a non-conventional way. They take us inside their thought process and show how to think more creatively and rationally. They focus on various subjects starting from business to politics, to philanthropy to sports all with the goal of retraining your brain. We will also come to know the secrets of a Japanese hot-dog-eating champion, why Nigerian e-mail scammers make a point of saying they’re from Nigeria, and the reason an Australian doctor swallowed a batch of dangerous bacteria, why Van Halen’s demanding tour contract banning brown M&Ms was really a safety measure, why sometimes it’s best to keep away your moral compass and think like a child, why to quit before you fail today. Steven D. Levitt, a professor of economics at the University of Chicago, is widely popular for his innovative thinking and honoured with the John Bates Clark medal, and Stephen J. Dubner is an award-winning author, journalist, and radio and TV personality. Curiosity is a human nature but unfortunately some can’t preserve the habits of learning, exploring new things around as they grow older. 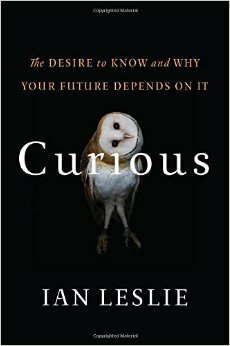 Curious people are always smarter, creative and more successful because they think broad and go deep. Curiosity isn’t a gift rather a mental muscle that deteriorates without regular practice and one can make a habit that needs to nurture everywhere. The book is filled with inspiring stories, case studies and rational advice to show you how Curiosity will change the way you think about your own mental life. 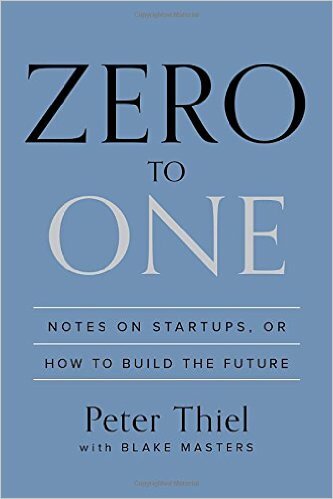 legendary entrepreneur and investor Peter Thiel in Zero to One has put together a hard-hitting set of standards for entrepreneurs, innovators, startups, and thought-leaders to carefully consider when thinking of building something big in the future. He has named some of the most inspiring and the most successful tech entrepreneurs in the United States including Elon musk (founder of SpaceX and co-founded Tesla Motors), Reid Hoffman ( co-founder of LinkedIn), Steve Chen, Chad Hurley, and Jawed Karim (founders of YouTube), Jeremy Stoppelman and Russel Simmons (founder of Yelp), and himself Peter Thiel (founder of PayPal and Palantir).